I have another holiday themed mani for you today. I'm really loving the combination of red and white this season. This was actually somewhat of a fail, but I like how it turned out anyways. I was trying to do more of a gradient effect, but the glitter mostly wanted to stay on my tips! 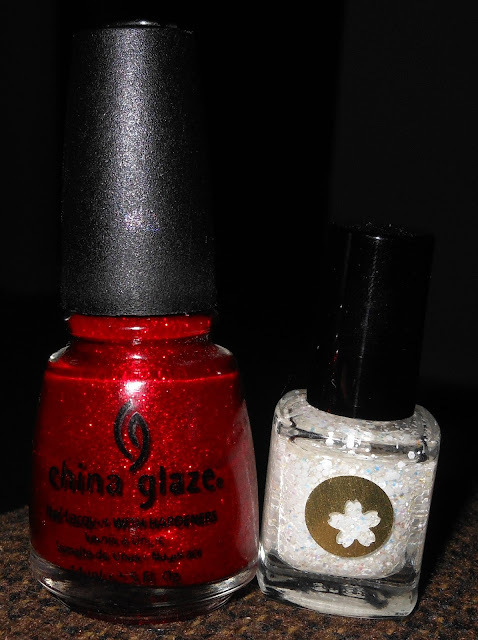 I painted all nails with China Glaze Ruby Pumps and followed up with Sonnetarium Snowfall focusing on the tips of my nails. 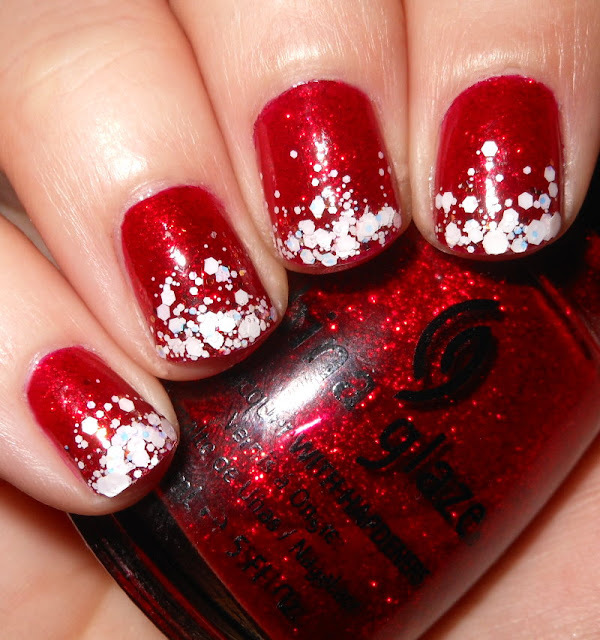 Very cute, I'm loving red & white together too! I like it and you can't go wrong with Ruby Pumps! This is so pretty! I actually haven't done any holiday manicures this year; haven't been motivated for some reason. I'm enjoying living vicariously through all of the great ones online. Thank you! You can never go wrong with Ruby Pumps! Not a fail at all! Abstract Santa's hats is what I call them ;).